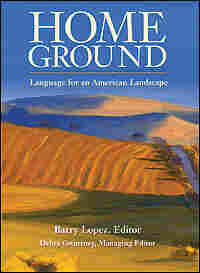 Writers Preserve American Landscape Words A group of writers has collected more than 800 fading landscape terms in a new book — Home Ground: Language for an American Landscape-- in hopes of keeping them from going extinct. A group of writers has collected more than 800 fading landscape terms in a new book -- Home Ground: Language for an American Landscape. Their hope is to keep words such as "kiss tank" and "lover's leap" from going extinct. 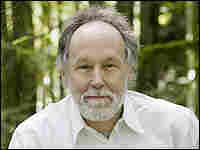 Nature writer Barry Lopez launched the project after he found that he was unable to double-check the usage of some landscape words, simply because there was no place to look. Poet Michael Collier, who also contributed to the book, believes that the words are worth preserving because "language is the DNA of the culture." He joins John Nielsen on a trip through nature and language. Think you've crossed a kiss tank or made a lover's leap? 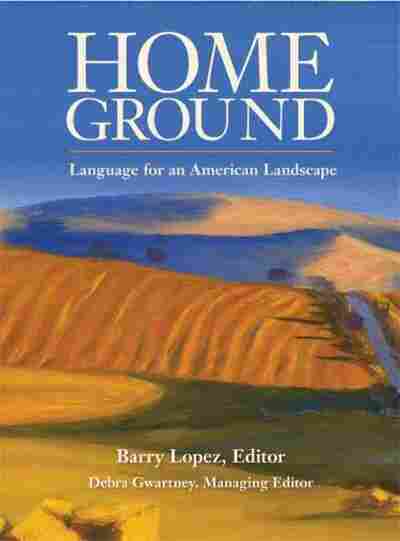 Find out by reading these definitions from Home Ground: Language for an American Landscape. In the arid basin-and-range country of the southwestern United States and Mexico, cloudbursts send torrents of runoff down ravines cut into the flanks of sparsely vegetated mountains. The flash floods may deposit enormous quantities of sand, gravel, and mud at the mouth of a given ravine, where the sediments fan out across the basin floor and are compressed over time into a gently sloping carapace of conglomerate rock. Flowing water may subsequently carve deep, parallel grooves into the alluvial fan until all that remains of it is an array of elongated humps. Excerpted from Home Ground, edited by Barry Lopez. Copyright © 2006 by Trinity University Pre. Excerpted by permission of Trinity University Press, San Antonio. All rights reserved. No part of this excerpt may be reproduced or reprinted without permission in writing from the publisher.